Where are the Software Engineering Programs and Related Degrees in New Mexico? Computer science and computer engineering undergraduate degree programs have historically been programs that employers seeking software engineers drew from. Software engineering undergraduate degrees have been developed to focus on curriculum specific to the field. Computer science and computer engineering curriculum can have overlap in programming and other areas. This is why employers typically look for those with a computer science or computer engineering background in addition to those with a software engineering background. New Mexico, as is the case with the majority of states, is set to see continued growth in the fields of software engineering, application development, software development, and related fields according to the Bureau of Labor Statistics. Explore educational options in New Mexico designed to help prepare students for jobs in these professional areas. 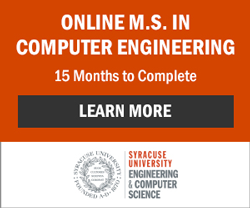 What About Online Software Engineering Degrees?